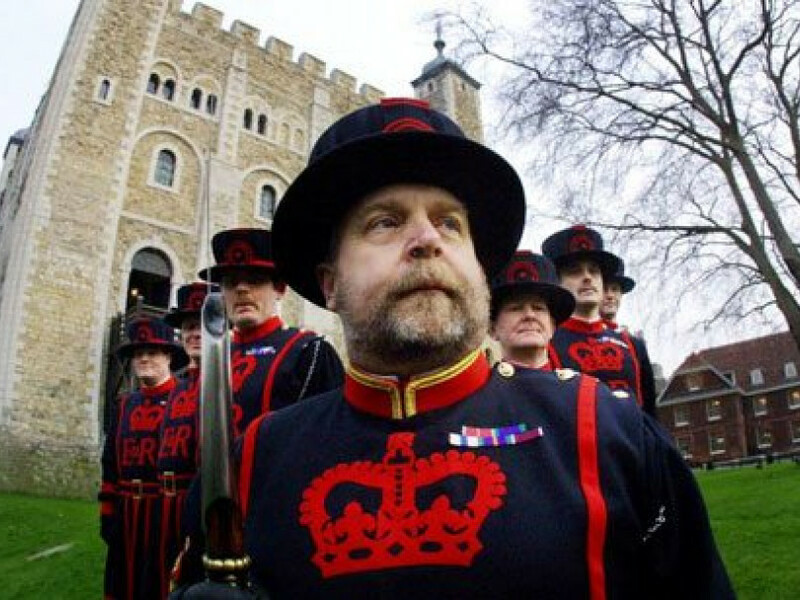 SOMEONE needs to have a quiet word with the Tower of London’s fabled Beefeaters, those noble Yeomen of the Guard, ahead of the weekend’s planned summit of EU leaders when they gather to sign off the UK’s surrender document. The Beefeaters need to get their axes and pikes sharpened. Tell them to show no mercy should a haggard-looking woman be discovered skulking out under cover of darkness – because those will be the nation’s Crown Jewels she’s intent on secreting across the channel. I’m not sure Theresa May has any personal virtue left to sacrifice, but depositing the Cullinan and Koh-I-Noor diamonds on the desk of Michel Barnier, along with the deeds to Gibraltar and Northern Ireland, is the very least we can expect of her continuing treachery. How desperately, shamefully, humiliatingly low can this woman go? But more importantly, how pathetically impotent and unfit for government is the current Conservative party? I could no more vote for that self-serving, disingenuous rabble, than I could volunteer to slit a frolicking lamb’s throat for the Kirklees Cabinet to enjoy their halal lunch. They clearly think the country simply couldn’t stomach a cheap Corbyn/ McDonnell copy of Venezuela or Cuba, that people faced with that choice will hold their noses and vote Tory again. I think they have a big surprise coming. Indeed, if I had to rank my dislike for the EU hegemony against the dimly dangerous Jeremy Corbyn, the Labour leader would rate higher than the federal fascists in Brussels. He can have his turn at the Downing Street wheel, crash the economy, and be gone inside one term. The socialist spasm of jealous and talentless union/ Momentum zealots could run its course, be seen as the ideological disaster intelligent people know it to be, and UK politics would re-calibrate. Damage would be done, but then they’d all scurry back down their burrows where they belong, muttering about right-wing conspiracies. But as I’ve said oft times before, the EU is a doomed project, despite this apparent victory over May’s Remain conspirators. All this nonsensical talk of ‘a deal’. What deal? The EU has offered nothing, zero. They just keep demanding … and May lies to the nation, her colleagues and herself, and keeps giving. Her mouth says “we are delivering on the referendum” but her deeds betray not just those 17.4 million Leave voters, but the Remain lobby too. What happened to “no deal is better than a bad deal”? Have we really become such a pathetic nation of lemmings? Maybe we have. On the back of Merkel/Macron calling for a European army, I invite you to look up and listen to the recent rantings of leading EU light Guy Verhofstadt. Tell me that’s a bloke you want running our country – because that’s what both Remaining and May’s hellish limbo deal buys you, folks. The EU is in crisis he says – and it is – because member states refuse to transfer more and more sovereignty to the European Union. The Italians, Poles and Hungarians have had enough. The French and Dutch won’t be far behind, especially if we ever do manage to leave and our billions are lost to them. What is clear is that Britain’s political class is unfit for purpose. Labour MPs, overwhelmingly Remainers, give lip service to honouring the referendum while delighting in the prospect of the turmoil bringing another vote. But the Tories? There’s an honourable few, but too many seem willing to sacrifice national pride for personal ambition. Shame on them. The People’s Vote snowflakes and Remain-deceivers like May, seem convinced that having been bullied and browbeaten by Brussels this past two years, a second referendum would witness the British people kneeling and doffing their caps to Germany, France and Belgium. Really? I think, not for the first time, they are reading the silent majority completely wrong. A RECENT Ipsos Mori poll on the trustworthiness of people in various professions makes for interesting reading (if you’re Joe Public) and should have you in floods of tears if you’re a journalist or a politician. Mind you, it seems even Joe Public is dodgy. And given that it was Joe Public who was asked by Mori, “how much would you trust these people to tell the truth?” it says something when the man/woman in the street only gives him/herself a 62% trust rating. That’s the last time I ask someone for directions to the local mosque – I could end up in a pub! Or vice versa, more worryingly. Journalists flounder fourth from bottom (26%) just above government ministers (22%) and politicians generally (19%), which has to be kind of depressing, on any level you look at it. Predictably, doctors and nurses top the list (96 and 92%) but I think that says more about how dependent we are on them in time of need – because let’s face it, the pollsters didn’t get to ask patients of Harold Shipman or Beverley Allitt. I know the nurse in A&E was lying through her teeth when she told me I should be seen in under two hours on Sunday. By the time (two hours later) that I gave up, went home and self-diagnosed/medicated I was probably still three or four hours from being seen and my condition was worsening from having to sit on a little plastic chair. The broken NHS might not be her problem, but the fib definitely was. It’s no surprise that scientists/engineers and academics score in the 80s, because frankly, what have they got to lie about? But judges 83% and the police 76%? You’re having a laugh. If we’re interpreting that poll, I can only think it means 83% of ordinary Joes haven’t been in front of a judge and 76% haven’t had a door knock from Plod. Priests, civil servants and TV news readers are all on 62% with Joe Public, before the figures tumble for pollsters themselves, union officials, bankers, councillors, business execs and estate agents, just above we journos. Why estate agents, bless ‘em? Because they won’t tell you your end terrace with no off-street parking is worth half a mill? I understand why and I even share people’s frustrations, because so much ‘news’ these days comes tainted with an agenda, a slant. But I’ve known countless journos and I can think of only one particularly odious character who I truly, truly wouldn’t trust to give you the time of day. Here’s the thing: the vast majority of journalists are not editorialising BBC, Guardian or Daily Mail execs. They are honest, hard-working people, doing their very best to inform and entertain – but they are largely dependent on the truth and trustworthiness of the people sharing their stories. Consider that – the lies or the agendas, such as they are, are generally not the reporter’s, but the subject’s. We just get the stick if some people don’t like them. As for the people at the very bottom of the poll, advertising execs, on just 16%? Bless ‘em, they pay the journalists’ wages! I’m going downstairs to give my hard-working, honest bunch a big hug.